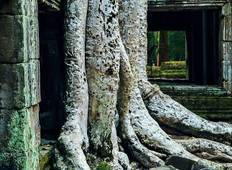 Find a Coach / Bus trip that explores Cambodia. There are 7 tours to choose from, that range in length from 4 days up to 13 days. The most popular month for these tours is October, which has the most tour departures. "The tour truly did live up to its name, not only did it include the main attractions..."
"Tour guide was funny and awsome! Friendly and helpful. I recommend Cambodia tour..."